A group of girls who genuinely love what they do! 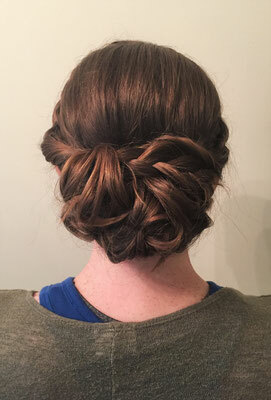 Scroll through and read our bio's to see who is the perfect stylist for you! Lisa's dream of owning a salon became reality in October 2004 when she shifted all of her focus and hard work as an independent stylist into designing a salon and building an amazing and talented team. She graduated from The Center of Applied Technology North with her Cosmetology license in 1981 and has been doing hair ever since! Her services range from both women's and men's haircuts, foiled highlights, all over color, perms, roller sets, and facial waxing. Tiffany has always dreamed of working in this beautiful and creative industry as her mother, sister, and cousins are all in this profession as well! 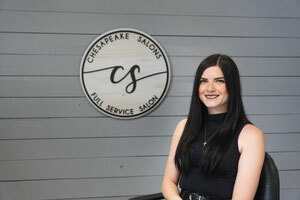 She started working here with us as a Shampoo Tech and Receptionist in 2011, she then went to school at the Center of Applied Technology North and graduated with her Cosmetology License in 2014. 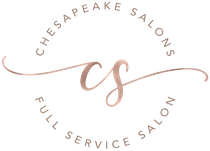 Her services range from Manicures, Pedicures, Men's clipper cuts, Women's haircuts and styles, foiled highlights, Balayage highlights, Ombre, Colormelting, all over color applications, Brazilian Blowouts, Formal braided styles, Updos, undercut designs, and eyebrow waxing. After graduating from Bethany Beauty College, Ashley started her career in the Cosmetology field in 2006. 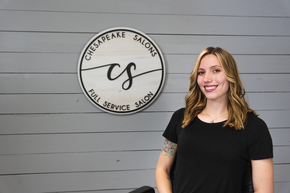 She worked at several salons before, but joined our team in 2016. With her husband in the military she had to bounce around to several states earning her license in Hawaii, New York, Texas, Oklahoma, South Carolina and now Maryland! Working in all of these different areas its given her the opportunity to learn a ton of different styles and techniques. 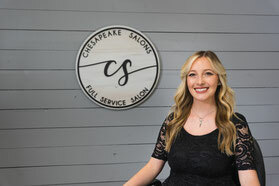 Her services include both men's and women's haircuts, foil highlights, all over color application, balayage highlights, Brazilian Blowouts, and ombre techniques. Megan joined our team back in 2010 when she started an apprenticeship under Lisa, learning all the tricks of the trade hands on in our salon. After completing her 2 year apprenticeship, she then went to take her State board test in 2013 and passed with flying colors! 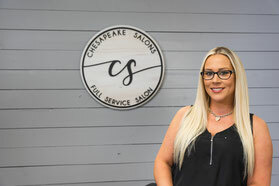 She now offers a wide range of services such as both Men and Women's haircuts and styles, All over color, Foil highlighting, Balayage highlighting, Ombre techniques, Color melting, Updos, Manicures, Pedicures, and Facial Waxing. Dawn has always wanted to be apart of this beautiful industry. After graduating from the Center of Applied Technology North in 2014, she started working in another salon as an assistant learning hands on about various color/styling techniques. In 2016 she happily joined our team as a stylist! 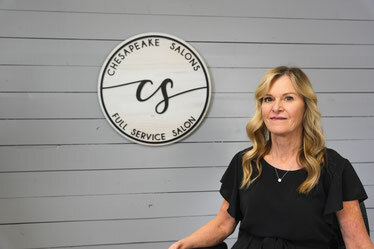 Her services range from manicures, pedicures, both mens and womens haircuts and styles, foil highlights, Balayage highlights, Ombre, all over color, updos, and formal braided styles. 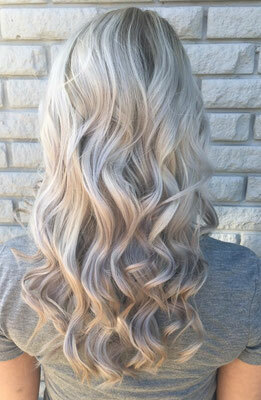 Carly is another one of our incredible stylists working here in our salon. She graduated from Robert Paul Academy of Cosmetology in 2012 and joined our team in 2015. Her services include Women's Haircuts and styles, foil highlights, all over color application, Balayage highlighting, Ombre, Perms, Updos, Formal Styles, Keratin Smoothing Treatments, Brazilian Blowouts, Extensions, and Facial Waxing. Leeann is another one of our wonderful stylists/make-up artist working here at our salon! Her journey into the beauty industry started when she joined the Paul Mitchell School in 2015, after graduating she joined our team in 2016! 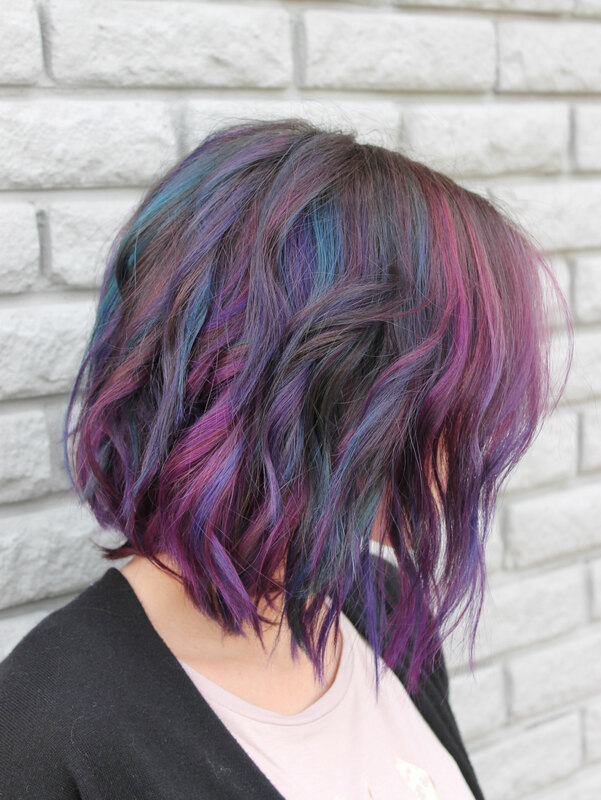 Her services range from Formal Make-up Application, Both Womens and mens haircuts, all over color application, foiled highlighting techniques, and hand painted techniques, such a ombre and balayage! 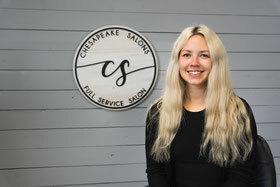 Kayla graduated from Center of Applied Technology North in 2014, and joined our team of stylists in 2019. Working behind the chair is her passion! 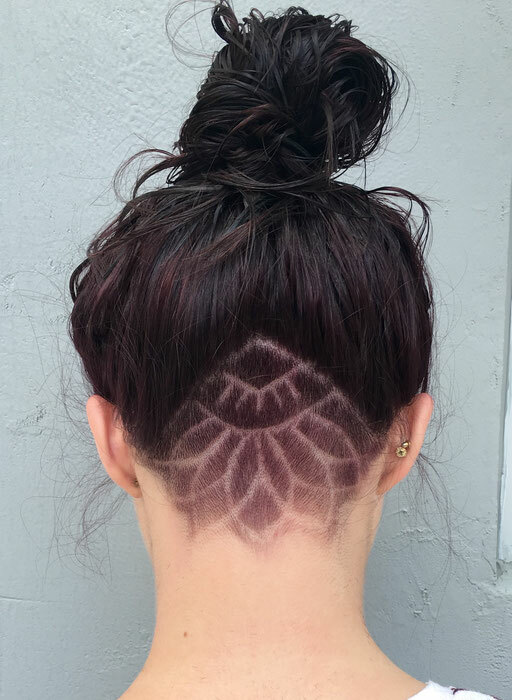 Her services include, Mens clipper and Scissor cuts, Women's haircuts, all over coloring, along with foiled highlighting techniques, Balayage highlighting, facial waxing, Perms, Updos and formal styles! Mindy graduated from International Beauty School in 2003, and joined our team in 2004. And although her hours at the salon are limited she loves what she does and wouldn't change a thing. Her services include both women's and men's haircuts, Perms, foil highlights, all over color application, and facial waxing. Krysta started here in 2012 as a part of our front desk team answering phones, booking appointments, and helping out stylists when needed, feeling inspired, Krysta decided she wanted to further her education in the beauty industry. She started an apprenticeship under Lisa in 2015, and received her license in 2018! She is a natural excelling in all aspects of the industry. Her services include Women's and Men's Hair cuts, Foil highlights, Balayage Highlights, Ombre techniques, Brazilian Blowout, Color melting, Manicures, Pedicures, and Facial Waxing. Lylah graduated from the Steiner Institute of Esthetics in 2015 and began working with us right after! She is a Dermalogica Expert, attending regular classes getting updates on all of their newest products and services. Her services include Full head to toe body waxing, All of your Facial needs, and eye lash tinting. *If you need an appointment outside of these hours, please don't hesitate to ask, we will do our absolute best to accommodate! Jenny is a full time student, and also is apart of The Center of Applied Technology North, Cosmetology Program which she will graduate from in 2019. With school starting back up we don't get to have her in the salon as much but she is one of our very helpful receptionists! She helps us shampoo & blow dry when needed. She can schedule any appointments needed, and answer any questions you might have! Holly starting working as apart of our front desk team in 2018. She is a full time student at Center of Applied Technology North and will graduate with her Cosmetologist license in 2020! She is an asset to our salon, helping us shampoo, keeping the salon clean, and making sure all of our wonderful clients are taking care of! Jen is one of our many sweet faces that greet you when you walk into our salon! 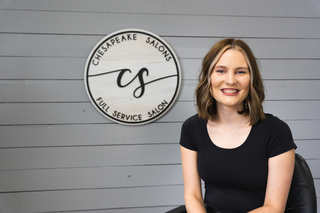 Inspired by the fun and creative atmosphere at Chesapeake Salons, she was eager to join our front desk team in 2018! Always ready to help out, and making sure our salon is in tip top shape, we're lucky that she is apart of our team! Kendall joined our front desk team in 2018, we are so grateful to have such a positive and motivated receptionist as the face of our salon! She is always on top of everything, making sure our customer service is top priority. She also has her Cosmetologist license, and can help answer any questions you may have when scheduling with your stylist! Starr is another one of our bright and welcoming faces that greet you over the phone and as soon as you walk in our door! 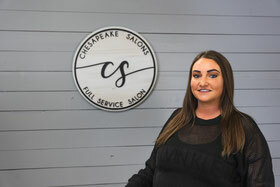 She joined our front desk team in 2019, she also has her Cosmetologist license and can help answer any questions you may have & schedule all of your beauty touch ups!